Transparency is an essential, but not adequate condition for equity and excellence. The Bill would ensure transparency, but not social and academic accountability in the functioning of educational institutions. The clearance for “Prohibition of Unfair Practices in Technical and Medical Educational Institutions and Universities Bill, 2010” by the Union Cabinet appears to have created an impression that the Central government has positively responded to the long standing public demand for stringent regulations to rein in private professional educational institutions. The provisions in the bill for awarding a maximum of three years imprisonment and fine of Rs.50 lakhs for charging capitation fee and issuing misleading advertisements or wilfully giving wrong information in the prospectus has been highlighted with approbation by the media across the country. While the steps contemplated in the bill for enforcing transparency in the functioning of private professional educational institutions are laudable, any presumption that the bill would ensure social and academic accountability of private professional educational institutions would be totally unwarranted. As a matter of fact, the overall impact of the legislation is to frustrate rather than augment efforts being made by the State governments to ensure social control on private professional educational institutions. This is because the bill has two objectives, one stated and the other unstated, and the two objectives do not converge on a platform of social and academic accountability. The apparent objective of the bill, which is to ensure transparency in the functioning of educational institutions, is orchestrated through the title of the bill. Amidst the din and noise of the shrill proclamations and stringent punitive provisions, the unstated objective goes largely unnoticed. One has to take note of the strategic omissions in the bill to properly understand what the bill seeks to achieve through its negations. While the provisions in the bill are commendable as far as they go, they do not go far enough. There are no provisions to regulate the three vital concerns of students, namely admission, fees and content of courses. Through its studied silence on these aspects, the bill seeks to limit social and academic accountability of educational institutions to merely ensuring transparency in the process of admission and levy of fees. The larger issues of social justice and excellence in education are totally ignored. There is no provision in the bill for an admission procedure based on a common entrance test (CET) and centralised counselling conducted by the agency of the State or allotment of seats among various categories of students including SC/ST/OBC/Minorities. There is also no provision for a differential fee structure on the basis of merit/income of students. What is more, the operation of admission and fee regulatory committees set up by various State governments, including Kerala, in accordance with the judgment of the Supreme Court could possibly be challenged, once the Central law comes to occupy the field. The only good practice that the bill recognises is that of transparency in the functioning of educational institutions. The bill makes it mandatory for educational institutions to publish details of fee structure, admission procedure, faculty, infrastructure, syllabi, etc, on the website/prospectus of the institution. There are provisions to prohibit collection of admission fee and other fees without receipts. There are also provisions for the imposition of monetary penalties which include penalty for non performance according to prospectus, for accepting capitation fee, for withholding documents, for misleading advertisement, etc. There is an appropriate mechanism in the form of tribunals which have sufficient powers to adjudicate on issues arising from enforcement of the law. By identifying transparency as the only mandatory good practice, the bill seeks to equate educational practices with business practices. Profiteering is justified, provided the account books are open. The bill overcomes the restrictions on commercialisation of education, which law courts have been consistently upholding. Even TMA Pai judgment, despite its reformist sympathies, had ruled that profiteering in education was unconstitutional. The new bill only recognizes corporate responsibilities and corporate ethics. Imparting education would cease to be charitable activity, even in name, and become a business activity, sanctioned by law, with the enactment of the bill. The restrictive interpretation of unfair practices would keep the vast majority of academic and social offences out of the ambit of the present bill. It is not as if the omissions in the bill are inadvertent. This would become quite evident if one looks at the history of the bill. The bill has been in the making for quiet a long time. A Central umbrella legislation empowering States to regulate admission, fees and content of education in private professional educational institutions had become necessary to offset the judgment of the Supreme Court in TMA Pai Foundation case in 2002, which had unsettled the arrangements made for common entrance test and differential fees through the Unnikrishnan judgment in 1993. In response to the large public demand for a comprehensive legislation to restore the dimensions of equity and excellence in private professional education, attempts were made twice during the first UPA regime to enact a central legislation for regulating private educational institutions. The first draft legislation was prepared by the Ministry of Human Resource Development (MHRD) in 2005 and posted on its website for consultation. 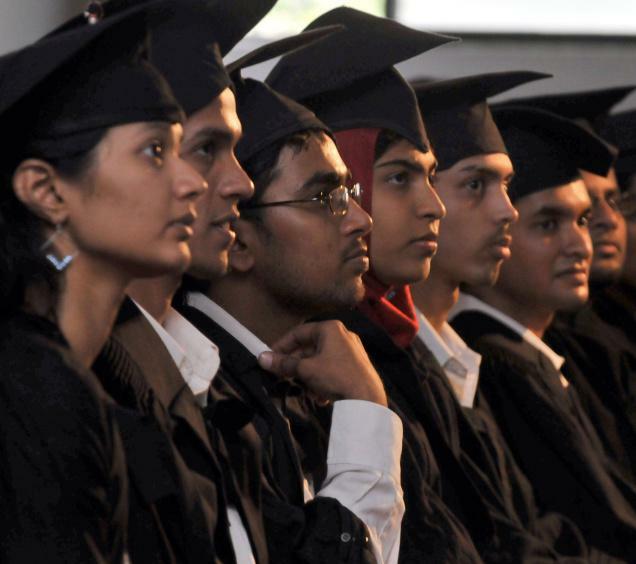 The second draft was prepared by a committee appointed by UGC in 2007. The Private Professional Educational Institutions (Regulation of Admission and Fixation of Fee) Bill, 2005 had certainly not fully addressed the demand for a law ensuring admission according to merit and reservation and fee structure according to the paying capacity of the parent. However, the principles of Common Entrance Test (CET), centralised counselling, allotment of seats among various categories including weaker sections and differential fees were accommodated. The UGC brought out its draft legislation two years later in the form of “Admission and Fee Structure in Private Aided and Unaided Professional Educational institutions, 2007.” This had provisions which empowered the State/Union Territory governments to regulate universities set up within the State/UT. These provided for allotment of seats under Government General Quota, Government Reserved Quota, and Institutional Quota and Management Quota. Such quotas would be variable for minority and non-minority institutions. There were also provisions for regulating admission through CET and centralised counselling conducted by agencies appointed by the State. There could be variable fee structure determined by fee regulatory committees appointed by the State, taking into account the socio economic realities in each State. In addition to the above, there were also adequate provisions for ensuring transparency in the functioning of educational institutions and for imposing exemplary penalties on those institutions which fail to comply with the regulations. Both drafts had actually addressed the concerns of equity and excellence in professional education to a large extent. Unfortunately they were allowed to lapse. Kapil Sibal has now abandoned both drafts and has come out with an entirely new bill. The new bill is the child of a new policy on education, authored by the second UPA government. An understanding of the objectives and outcomes of the present bill can be made only by situating it in the overall context of the new policy pronouncements of the Human Resource Development Minister and the steps being taken by him to enact a slew of legislative and administrative reforms. Kapil Sibal is on record as having stated that he would do to the education sector what had been done to the financial sector in 1991. With this objective, he is feverishly pushing ahead with a number of reforms, all of which share a common objective, which is to expedite neo-liberal reforms in higher and technical education. The National Commission on Higher Education and Research Bill aims, in letter and in spirit, to secure the true autonomy of universities and institutions of higher learning. The Member-Secretary of the Kerala State Higher Education Council, in an article published in these columns on February 6, 2010 on the draft National Commission on Higher Education and Research (NCHER) Bill, argued that the Bill “does not allot appropriate levels of autonomy to States and universities, and in the process violates the principles of federalism and autonomy in the governance of higher educational institutions”. As one associated with the Task Force which prepared the Draft Bill, I felt that the article was written either without a proper understanding of its provisions, or with a motive to prejudice the public mind against true autonomy of higher academic institutions. The author also invoked the concept of federalism to attack the Bill, presumably to say that the Union, without competence to legislate on the subject, is attempting to take away the States’ authority. Is it his case that the Acts in respect of the University Grants Commission (UGC), the All India Council for Technical Education (AICTE) and the National Council for Teacher Education (NCTE) which the NCHER is to replace, were also passed by Parliament without constitutional authority? What does he make of Entries 63 to 66 of the Union List and Entry 25 of the Concurrent List in this regard? If the argument is for consultations with States before a law affecting the States and the Union is adopted, that precisely is what the Union government is doing by putting the draft Bill in the public domain and asking the Task Force to visit each State to gather views and comments from the stakeholders. Of course, based on such feedback, the Bill may undergo changes before it is submitted to Parliament for consideration. Reforming higher education is the common interest of the Union and the States and there is no room for dispute in this regard. The Yash Pal Committee recommended that the key reform needed is restoring the autonomy of universities (not the autonomy of the State governments, which is the function of the Constitution) by avoiding multiple regulators and preventing politicisation of university administration. Autonomy of universities involves autonomy from Central and State governments as well. The Preamble of the NCHER Bill says it is an “Act to promote the autonomy of higher education institutions for the free pursuit of knowledge and innovation, and for facilitating access, inclusion and opportunities to all… and to provide for an advisory mechanism of eminent peers in academia.” One would expect critics to give reasoned arguments on how the provisions of the Bill contradict these objectives, or in what manner it could be better achieved. The attempt to unify the multiple regulators and standardise the norms and procedures in a transparent manner is interpreted by the author of that article as centralisation of powers. Yes, the Bill seeks to vest the standard-setting and policy-planning functions in the NCHER. However, the delivery of educational services is a decentralised activity at the institutional level, and the NCHER plays only a facilitatory role in it. It is therefore wrong to say that an “authoritarian system” is being put in place. Entrusting education in the hands of educationists is what is proposed. In this, they have to function democratically under legislative mandate and on the advice of acknowledged experts in different fields of knowledge. The NCHER cannot be seen as a “benevolent dictator” under the provisions of the draft Bill, as it is to function through various bodies set up with educationists in different branches of knowledge. Its functioning is to be reviewed once every five years and it is to report annually to the President or the Governor on the state of higher education in the country or State as the case may be. The Collegium of Scholars and learned men is indeed an innovation proposed for advising reform on the structure and content of higher education. They are to be Nobel Laureates, Fellows on learned societies of international repute, Jnanpith Award winners and people of similar distinction. Respecting the federal and democratic principle, the Bill seeks to have nominees of States also in the Collegium. Utilising the expertise and experience of learned men and women settled within and outside the country to promote standards of higher education is the intended objective of the Collegium proposal. If there are suggestions on how the objective can be achieved by changing the composition and constitution of the Collegium, these are to be welcomed. It is an idea with a purpose. It is not intended to give a subordinate status to the nominated members, though the core members are expected to serve the Collegium for a longer period for obvious reasons. All Collegium members serve in an honorary capacity without having to be present physically at one place. The States and Union Territories have their nominees in the Collegium. The nominees are also expected to be educationists or eminent persons of equivalent status. The core members are not the nominees of the Union government. They are there by virtue of their accomplishments in higher education and research and are invited because of their expertise, experience and status in higher education. If it is desirable to limit the term of the core members also, it can be recommended on the basis of cogent reasons. It is the anxiety to keep the government out in constituting the Collegium that led the Task Force to recommend the method of inviting persons on the basis of their accomplishments in education and research. It is not to be seen as an assault on federalism or democracy. It is the concern for the autonomy of the institution that elections or nominations in the usual course cannot accomplish. Leaving the Union or State governments to “nominate experts of their choice,” as contended in the article, may not serve the objective for which the Collegium is put in place. The Collegium members are not to be government employees; nor can it be assumed that they would agree to become members of the Commission, as suggested in the article. The State governments’ power to set up universities will not be taken away or eroded by the NCHER. As it happens today with the UGC and the National Assessment and Accreditation Council (NAAC), the authority to accredit universities, determine standards and finance them will be regulated by the new Commission. Academic clearance is not to be given by the Commission on its own. Accreditation is to be done by an independent accreditation agency recognised under law on the basis of credible evidence gathered according to objective parameters. Towards this end, the NCHER may authorise the academic operations of new universities on the basis of norms and standards set for the purpose. How does the authority of the AICTE or the Medical Council of India (MCI) or the Bar Council of India (BCI) to accredit institutions erode the States’ authority to set up universities, as argued in the article? An innovative measure to secure academic autonomy that is proposed in the Bill relates to the selection of Vice-Chancellors. Many ills of higher education, at present, can be traced to corruption and manipulation involved in the appointment of Vice-Chancellors. The Bill empowers the Collegium to prepare a registry of suitable persons with expertise and experience after a worldwide search and to keep it updated from time to time. It is not necessary that only persons who figure in the registry be appointed. Whenever the Central or State governments want to appoint Vice-Chancellors they can ask, if they so like, for a panel of names from the Commission as per their requirements, and the Commission may provide it. This is to facilitate the search and to present available candidates of distinction within and outside the country. There is no infringement of autonomy in the process; rather, it enhances autonomy by removing potential risks to such autonomy. The States’ choice of the person and the right to choose one from outside the registry is in no way compromised by the provisions in the Bill. Let there be no confusion or misunderstanding that the Bill, in letter and in spirit, aims to secure the true autonomy of universities and institutions of higher learning. The autonomy proposed will, hopefully, percolate down to each department and each member of the faculty so that teaching and research tend to innovate, experiment and compete for academic excellence and inclusive development. Looked at from this perspective, the NCHER Bill provides a framework and a strategy for securing autonomy of academic institutions and providing an environment for competitive excellence in higher education.